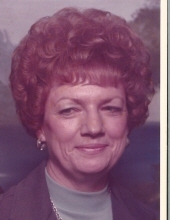 Louise C. Harper, 90, of Charleston, passed away at Hospice West, March 31, 2019, after a long illness. She was preceded in death by her parents, Edith and Nathanial Woods, and husband, William E. Harper. She was a lifelong resident of Charleston, and retired from Fielders Beauty Salon, where she was the receptionist. She never met a stranger, and enjoyed talking to people she had a chance to meet. She leaves behind two children, Connie Miragliotta (Chris) of Charleston and, Danny Harper of Texas; and two grandchildren. To send flowers or a remembrance gift to the family of Louise Catherine Harper, please visit our Tribute Store. "Email Address" would like to share the life celebration of Louise Catherine Harper. Click on the "link" to go to share a favorite memory or leave a condolence message for the family.